Approaching the Savannah 563 I liked what I saw. 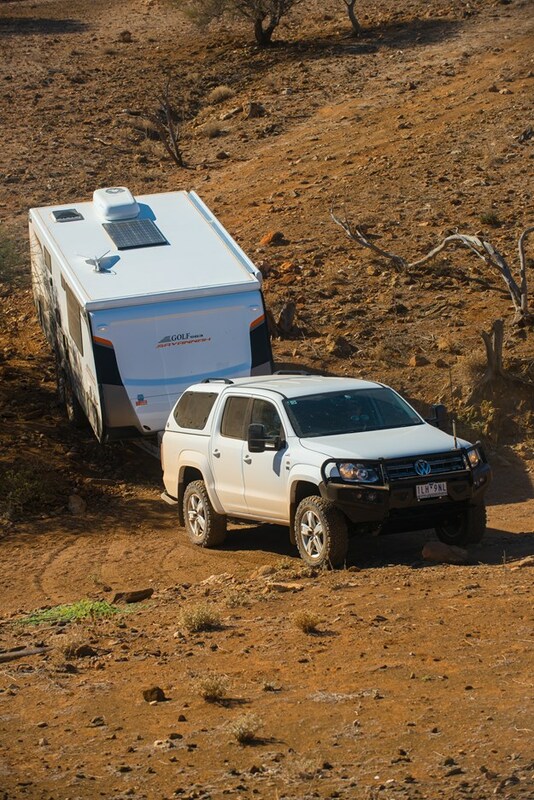 The compact body sits high on a chassis suspended by AL-KO’s tough Enduro Outback suspension. The rear has had consideration for off road work (though I found out not enough) and there are plenty of access ports for what looked to be a front bin and what I later found out was one of my favorite features, an excellent external kitchen. A 80w solar panel feeding into a 100 amp hour battery comes as standard and there is scope to option on more and with up to 180 litres of water stored in a well shielded tanks under the floor, there is capacity to stay off-grid a few days at a time so long as you do not blast the rooftop AC. Gas is stored in a well compartmentalised front bin that complies with modern regulations for venting and separation from ignition sources. 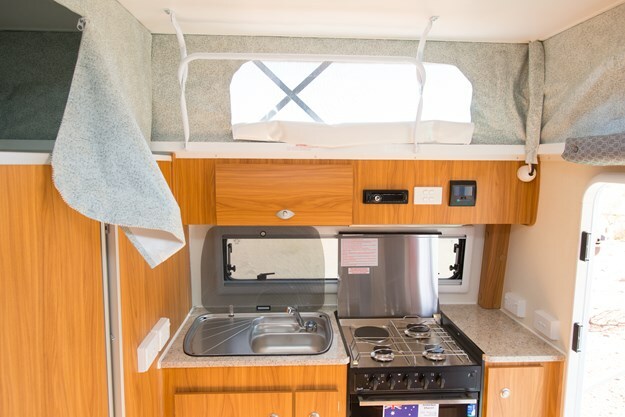 The layout is traditional with a north-south double main bed, L-lounge opposite a compact galley and shower over toilet opposite the door at the rear. The cabinetry is simple, very traditional, which I respect will not upset anyone but it also lacks inspiration and wow factor. The amenities are great with a three burner, one electric element cooktop above an oven, good sized three-way fridge and LG microwave. It has more than enough to look after a feast for many, more than a van of this really needs which brings me to a thought. Writing reviews like these can be easy. If we just talk about what we see us scribes can offer a bit more detail than a brochure or picture can tell but not by much and that's not doing you justice. You can discover a lot yourself through these pictures. I prefer questioning the logic or detailing significant ideas and design that push our industry forward and this van had me thinking. I honestly wonder, with a van this size with its external kitchen, whether it really needs an internal kitchen at all. 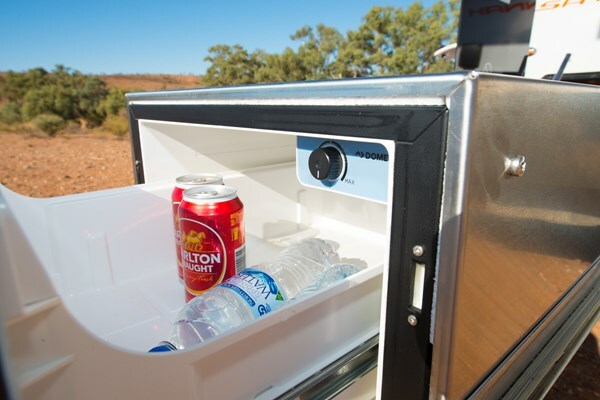 You see, the external kitchen is so well appointed with a Dometic fridge draw, two burner stove, more bench space than the internal kitchen and good sized sink that to me at least, it has all I need for a quick dash to a National Park. And when you take in the layout internally, I wonder if you could separate the shower from the toilet or add in some bunks for the kids where the kitchen lives now. I appreciate that we do experience some bad weather and having the ability to boil a kettle or heat a quick meal inside is a great luxury caravans afford us but I feel I could do with a kettle, microwave and a smaller internal fridge to move the Savannah into real family-expedition territory. Like the Bush Challenger 2 seen last issue (#576), this Savannah is not listed as an off roader, there is in fact a strongly positioned note on Golf’s website saying ‘Extra care must be taken on unsealed roads as damage caused by potholes or corrugations is not covered under warranty’. Taking this on board we thought we better have a good look under the van before taking it too far into the tough stuff. The chassis is 100x50mm?? 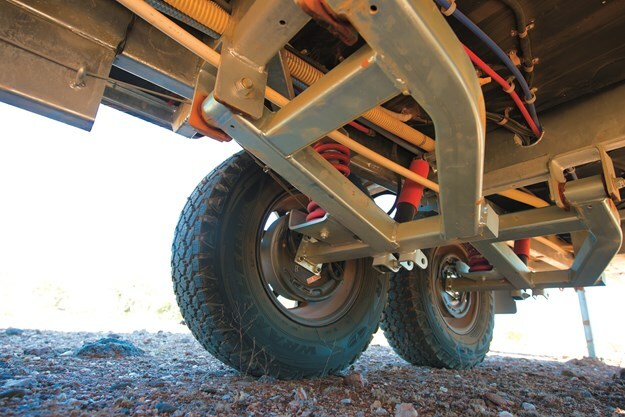 galv box section which for a van with a XYZkg ATM is overkill, as is the twin axle, AL-KO Enduro Outback suspension and the drum brakes on all wheels. 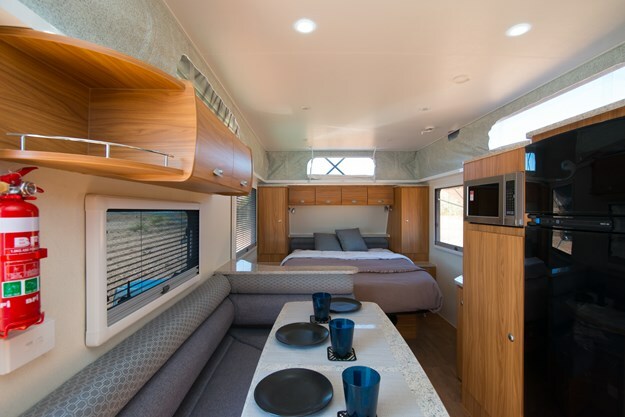 Talk about overkill, Enduro Outback in twin axle configuration is rated up to 4100kg ATM; I would expect to see a set up like this under a 3500kg van, not something as petite as the Savannah 563. The only thing you may want is a sheet of steel protecting the exposed underside floor but that’s a minor gripe. Plumbing and wiring is neatly tucked away using through-chassis cut outs and the water tanks are well protected. We decided the Savannah was up to the task, mostly. 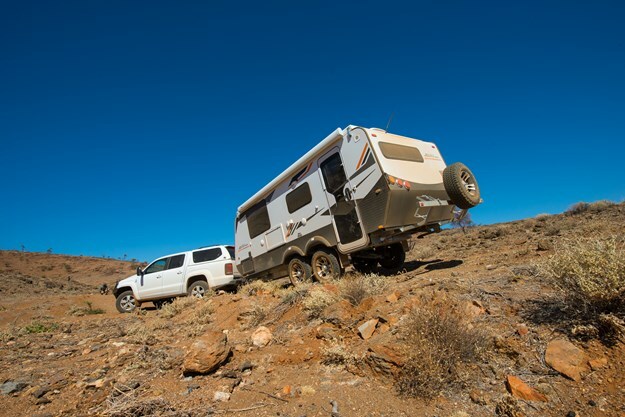 One way to lessen the likelihood of dragging the bum of your off road caravan is to chamfer the rear. It's good to see Golf doing this on the Savannah 563 but there is an issue with the design. 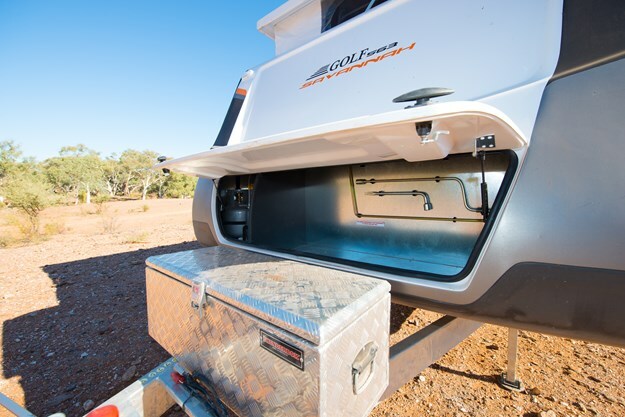 The rear bar is a good in some ways, with a pair of jerry can holders and a spare wheel but the height and positioning of the spare makes it prone to dragging. You want longitudinal chassis runners to do this to avoid any chance of bending the wheel carrier into the back of the van, like we saw on another Toughest Tow Test entrant. In terms of other protection, the Savannah follows a traditional path with chequer-plate up and along the sides, rear but not front. The front has a good-sized storage bin that will take most of the rocks and debris flung up from the rear wheels of the tow-car but the front corners of the van are prone and will likely take some damage over time. I would suggest some Rock Tamers for prospective buyers. Driving around Eldee Station, we all agreed the build was up to the task and tougher than Golf would let on. The independent trailing arm Enduro Outback suspension soaked up all thrown at it as did the quality Good Year tyres. 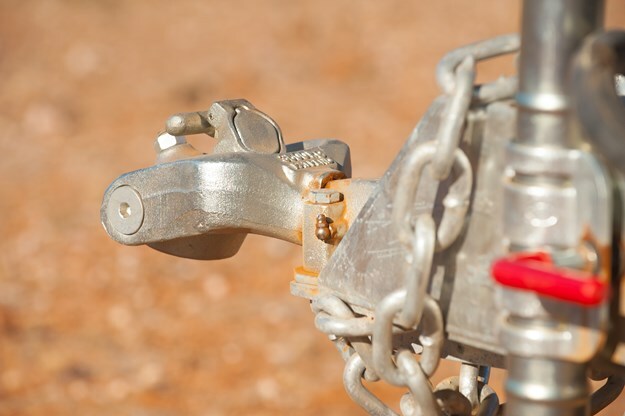 The new Off Road Pin Coupling also from AL-KO was up to the challenge not showing any signs of damage after multiple encounters with rocks and sand when tackling difficult lines. The 563 is a two person pop top designed to be taken on graded dirt roads with a fairly good amount of self-sufficiency and although A’van will tell you the Golf Savannah 563 is not for serious off road, it is more than capable thanks to its light and nimble chassis and tough suspension and I really like that the Savannah 563 has such a small overall footprint for its ability to entertain. 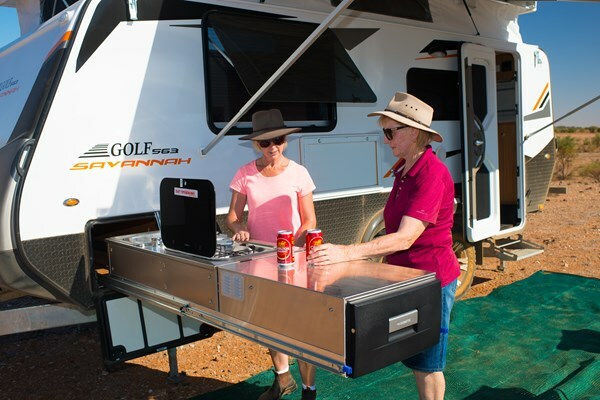 The dual kitchens might be overkill but the extra refrigeration outside have me dream of long summer nights sharing yarns with fellow campers over a cold drink and quick BBQ foods. Its cheap feeling interior is somewhat forgivable due to its price but I feel like A’van could do more with the Golf Savannah to bring it more up market, raising its appeal. 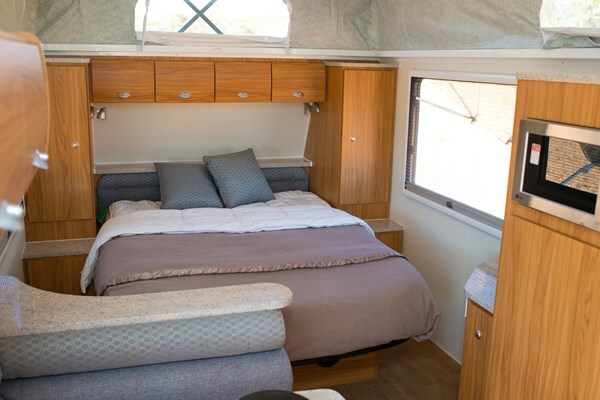 To enquire about this caravan, please phone 1300 104 090.